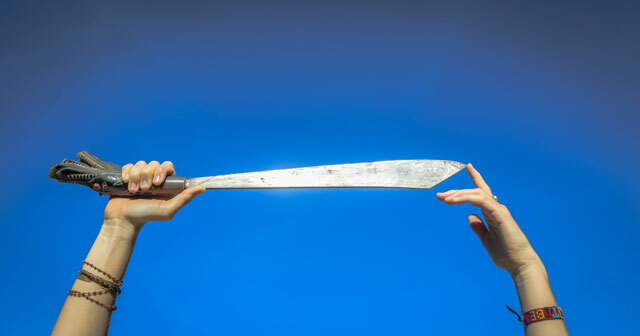 Digital Media: Take Hold of the Double-Edged Sword. We’ve all seen how technology can be used as a weapon of good or evil. Online bullying and the often competitive nature of social media, for example, have caused some to boycott it all together. Need I even mention the privacy concerns surrounding targeted messaging and the influence it has over our decision-making process? The truth is, there’s nothing inherently wrong with technology. It’s the way we choose to engage with it that really matters. How can these tools be used as a source of inspiration rather than brainwashing? To make meaningful connections rather than isolate us further? To build a support network rather than contribute to a culture of comparison, jealousy and materialism? Sure, it’ll make you laugh and temporarily lighten the mood, but think of the implications of starting your week by committing to being miserable for the next five days! Contrary to popular belief, the antidote to feeling low is not compounding those feelings with more negativity. We end up digging ourselves deeper into a dark hole by hardwiring negative thought patterns into our brain. Unfortunately, due to negativity bias, our brain is naturally more inclined to focus on the not-so-bright side of things. There are benefits to this process in terms of foreseeing potential risks and preventing harm, but it also means that maintaining a positive attitude requires work. As confirmed by a recent study published by the National Institute of Health, it’s well worth the pay off, with links to lower blood pressure, reduced risk for heart disease, healthier weight, better blood sugar levels and even a longer life. Now that digital media has infiltrated our personal lives and relationships with others, it’s crucial that we understand how time spent online fits into the conversation about maintaining healthy mental and emotional states. Develop a sense of awareness. Give your “FML” Feed A Makeover. We owe it to ourselves in this age of customizable newsfeeds to not only identify sources that give an unbiased perspective on worldly events, but also those that will stimulate our mind and nourish our soul. Daily reminders that shift our thinking toward positivity, kindness and compassion, have a trickling outward effect that can transform the world around us. This point cannot be overemphasized. The digital space has the amazing potential of connecting like-minded individuals, building support networks and strengthening ties to the outside world—or a complete reverse effect, where we allow ourselves to feel alienated by unrealistic ideals and isolate further. Allow me to share two examples of digital sanghas, or communities, that are doing it right. Using the hasthag #livingyoga, the Yoga Trade community is engaging in a worldwide conversation about how yoga can lead to a life of freedom and joy, whether that means integrating a practice into an urban setting or living barefoot in the jungle. Hundreds of teachers contribute inspiring stories, resources, training materials and shared job opportunities around the world. These digital yogis are not only demonstrating how it’s done, but also helping others do the same. Utilizing Tommy Rosen’s Recovery 2.0 Facebook group, recovering addicts, addiction recovery experts and wellness professionals from varying specialties engage in an open dialogue on how to thrive in addiction recovery. I am touched daily by strangers posting images of their success stories, whether it is one day sober or 30 years, and the massive outpouring of “likes” and supportive comments that follow. Similar networks exist for a range of physical, mental and emotional disorders. Although online communities can never replace a proper treatment program, they are an amazing way to expand upon its resources. Remember: Too much of a good thing is never a good thing. Before spending the next hour scrolling through images in pursuit of a digital enlightenment, remember that mindfulness is key. Technology can all too easily draw us out of the present moment and into a false reality. At the end of the day, the most important connections are made from real human interactions, real-life experiences in the natural world and developing a strong understanding of the self on the yoga mat or meditation cushion. As information continues to flow from this source, and we remain mindful in our approach, we have nothing to fear in the digital space. 5 Ways Social Media has Helped me Grow Spiritually. Mary Tilson’s passion for yoga has taken her across the world, from the U.S. to world-renowned yoga centers in Southeast Asia and India. She is currently the “Resident Yoga Teacher” at Nihiwatu Resort in Sumba Island, Indonesia where she leads daily yoga and fitness classes, private lessons and retreats. 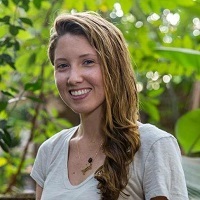 She is also a “Travel Representative” for Yoga Trade, a worldwide community of yoga teachers, and a contributing blogger to trusted travel and wellness sites. Connect with her on her website, Facebook or Instagram.